WordPress is a well-known content management system used for creating websites. A lot of businesses use WordPress but can healthcare organizations do the same? Is WordPress HIPAA compliant and can it be used with protected health information (PHI)? 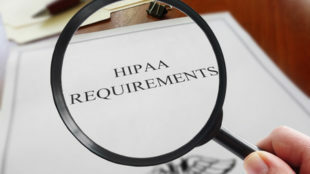 After implementing controls to ensure compliance with HIPAA Security Rule, the subsequent step is to perform a risk analysis of the website, plugins and connected systems. Any discovered risks should be managed and reduced to an acceptable level. Concerning the need for a business associate agreement, it’s not likely that WordPress will sign one and the WordPress site does not mention it. So, does this mean healthcare companies should not use WordPress? Basically, a BAA is not necessary if the purpose of the site is just to inform patients and no uploading or collection of PHI will be done using the site. A BAA is additionally not necessary if PHI is kept in a separate area and is only accessible using a plugin. The plugin developer in this case must sign a BAA. Passwords and administrator account names should be strong to prevent successful brute force attacks. Before making a decision to create a website using WordPress, think about building a site from scratch or using a vendor dedicated to making HIPAA compliant sites. Although there are ways of creating HIPAA compliant WordPress sites, the platform has a number of security concerns and vulnerabilities.